With 190 entries from all over the world at this first competition, it will be held every two years to coincide with the European Biennial of Landscape Architecture. 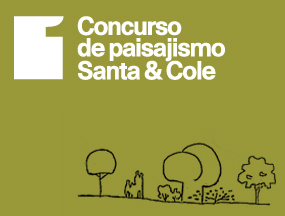 With the aim of promoting and rewarding good professional landscape architecture work, as a culture which modifies and enriches the environment, Santa & Cole together with the Spanish Association of Landscape Architects and the European Biennial of Landscape Architecture, announced the first Santa & Cole Landscape Architecture Competition. 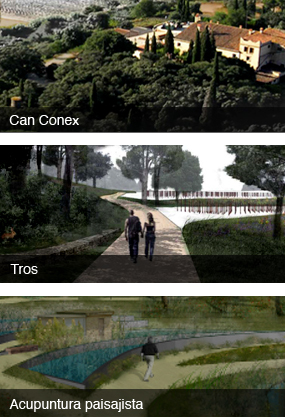 This first competition created as a competition of ideas, rewarded the landscape architecture intervention in the Valle de Sant Pere, within the Parc de Belloch property, situated in the municipality of La Roca del Vallés, Barcelona. With 190 entries from all over the world and 29 high-level projects presented. The Jury decided to award joint first prize to the proposals entitled TROS from the team led by Sergi Carulla, and CAN-CONEX from the team headed by Nerea Gutiérrez. The Jury likewise decided to award a special mention to the proposal entitled LANDSCAPE ACUPUNCTURE from the team led by Sara Maillefer. The event was held in La Pedrera (Barcelona), on 1 October 2010, in the framework of the IV Rosa Barba European Landscape Architecture Award. This competition will be held every two years to coincide with the Biennal and in each issue will present a different scope. We hope next year to repeat the success and further promote the good practice of landscape architecture.